Make transfers list columns sortable on admin area. Enable searches on transfers list on admin area. Added transfer default data in order to make "Add new transfer" button work. 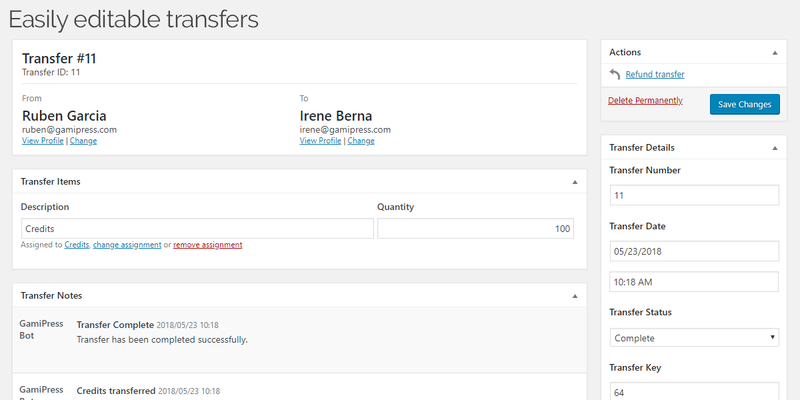 Added extra checks on transfer processing to ensure that user meets the points amount that wants to transfer. Added filters to override recipient display. Fixed points type issue on "Transfer a minimum amount of points" event. Added filters to the recipient ajax search. In just a few minutes, you will be able to place transfer forms around your site and award your users for making transfers. Transfers extends and expands GamiPress adding new activity events and features. New transfer When an user makes a new transfer. Transfer a minimum amount of points When an user transfers a minimum amount of the desired points type. 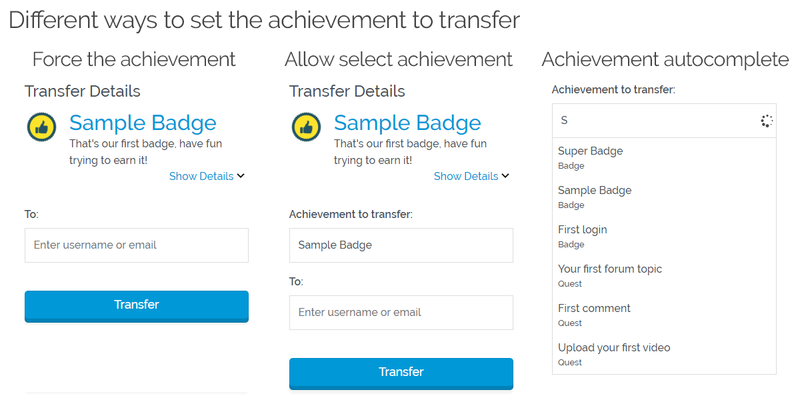 Transfer an achievement When an user transfers any achievement of the desired achievement type. Transfer a specific achievement When an user transfers a specific achievement. 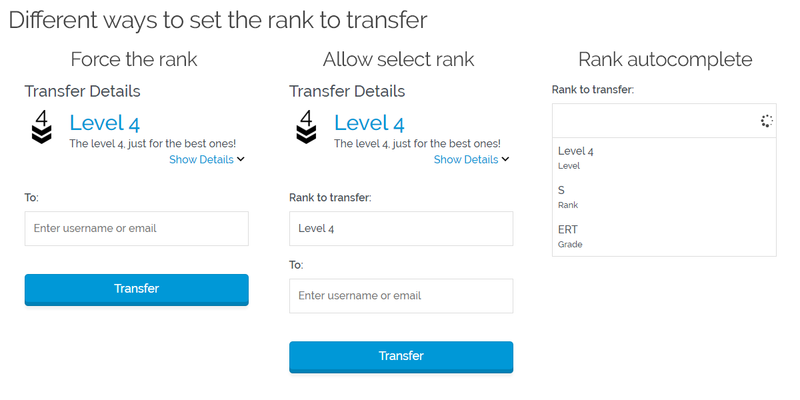 Transfer a rank When an user transfers the any rank of desired rank type. Transfer a specific rank When an user transfers a specific rank. Ability to place transfer forms to let users transfer anything. Set the transfer recipient or let user input the recipient (with support for auto-complete). Set the achievement or rank to transfer or let user choose which to transfer. 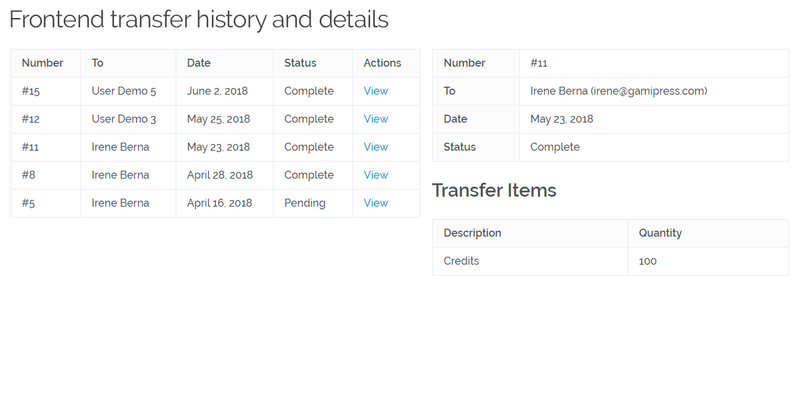 Frontend transfer history with details of each transfer. Settings to auto-approve transfers or keep them pending awaiting for approval. Easily editable transfers to allow you add new items or add notes. Ability to refund transfers and restore transferred items between users. 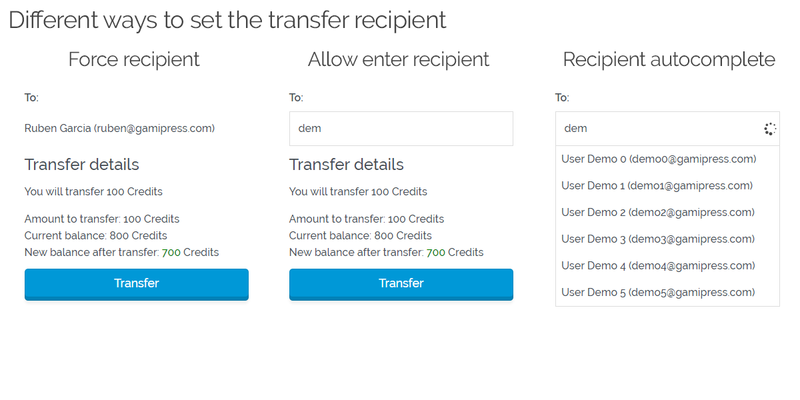 Points To let your users transfer a desired amount of points. Achievement To let your users transfer an earned achievement. Rank To let your users transfer a reached rank. 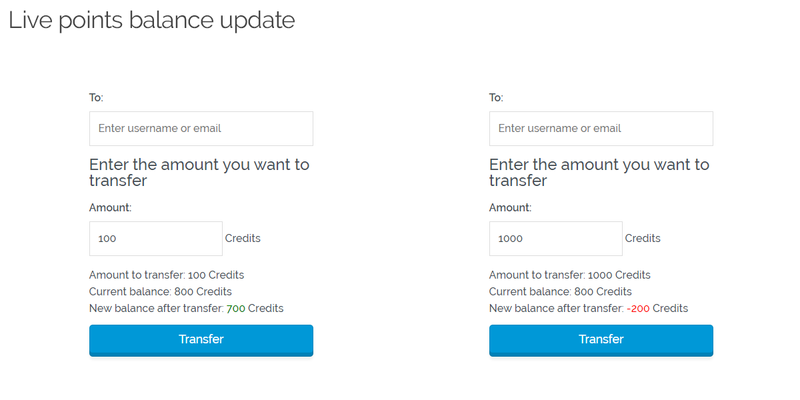 Fixed Amount Users will be able to transfer a predefined amount of points. 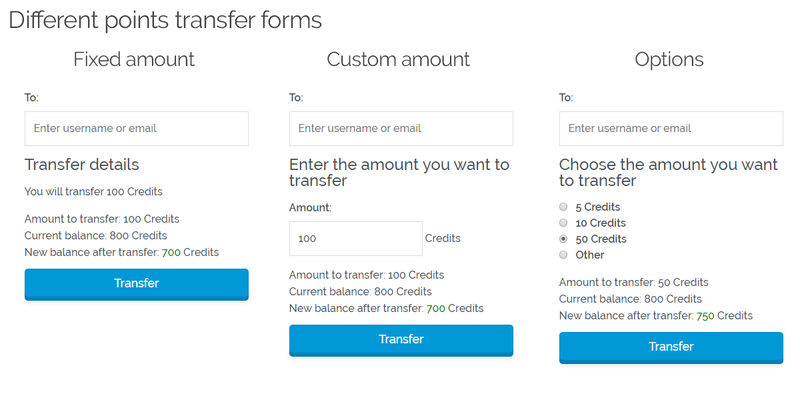 Custom Amount Users will be able to set a custom amount of points to transfer. Options Users will be able to choose between a predefined amount of points to transfer. Shortcodes to place any transfer form anywhere (with support to GamiPress live shortcode embedder). Widgets to place any transfer form on any sidebar.